Private Phuket airport transfers are the easiest, safest and most reliable way of travelling from Phuket Airport to your hotel. There is definitely no shortage of transport in Phuket, however choosing wisely should be your main priority. 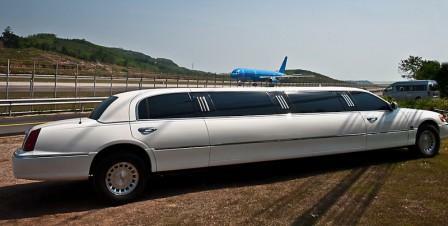 Over the years we have tried various means of transport from Phuket International airport. Some of our choices of transport have been good and some have been downright terrifying. The worst experience we have endured was when we caught a taxi from the airport a couple of years ago, midway through our journey our taxi driver decided to stop at a travel agency to try to scam us into booking tours and accommodation. When we said no and told him we had our accommodation and tours pre booked, he got annoyed and speed off irrationally only to minutes later crash into the back of the car that was travelling in front of us. From that day on we have never caught a taxi to or from Phuket Airport again. If your safety and the safety of your family or friends is a priority I would suggest a private Phuket airport transfer with a reputable company. We have tried and tested a couple of companies who coordinate Phuket Airport transfers and I would have to say the best company we have found who provide outstanding service is Easy Day Thailand. Their drivers are safe and courteous and their air-conditioned vehicles are well maintained, clean and comfortable, most importantly they are on time every time with safety their main focus. If you’re travelling with babies or toddlers, baby seats are available on request. Provides private Phuket airport transfers from both the International and Domestic Airports direct to your hotel anywhere in Phuket, Khao Lak or Krabi and ferry transfers to Ko Phi Phi. Prices for a private Phuket airport transfer with Easy Day Thailand are comparable to what you would pay for a taxi and are much more comfortable and a whole lot safer. 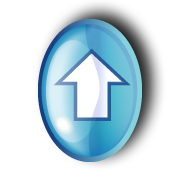 For further information about Phuket airport transfers contact Easy Day Thailand. The airport bus service is a great alternative for budget travellers. The airconditioned buses depart from just outside the arrivals hall on the first floor. The bus runs hourly from 6.30 am to 8.45pm daily to Phuket Town and costs around 85 baht. The trip from the airport to Phuket Town will take about an hour and there are drop off points along the way at Nai Yang, Heroines Monument, Tesco Lotus and the Big C Shopping Centre. This is the cheapest Phuket airport transfers available on the Island. 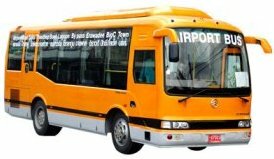 Return airport bus runs from 5.30 am to 6.30 pm departing from Phuket Town. You will find the counters to buy tickets for the limousine taxi's in the arrivals hall of the airport, and you certainly won't miss them when you walk out of the terminal, silver taxi's everywhere. This is a more expensive Phuket airport transfer option and one that we prefer not to use, as they are over priced and they drive extremely fast. A mini bus is a cheaper option, however the problem with this is you have to wait until the bus is full and then it stops at all resorts and hotels along the way to drop off other passengers. The tickets for the Mini Bus can be purchased at counters in the arrivals hall. Prices depend on where you are going; Phuket Town is around 100 baht, Patong 150 baht and Kata and Karon around 180 baht. Limousine taxi's and Mini Bus operators are renowned for taking tourists to local tour companies to book accommodation and tours even if they have accommodation already booked. They often claim that your hotel is closed, they do this because they get paid a high commission if you take them up on booking through the tour group. If you do experience this, you should contact the tourist police. If you are going to use the limousine taxi's and mini bus services, always tell the driver that you have accommodation booked and paid for whether you do or not. Metered Taxi's are located outside the airport terminal, follow the footpath to the right and at the end of the path you will see a well signed taxi stand. You can't miss these taxis, they are bright red and yellow. They are reasonably priced but on occasions we have had drivers that think they are Michael Schumacher. You generally won't see metered taxi's driving around the Island, the only place we have come across them is at the airport or in Phuket Town. There is a 100 baht surcharge from the airport, if you are only going a short distance make sure that the driver turns the meter on. For long distances such as Patong, Karon or Kata beach areas the metered taxi's normally have a fixed price. There are couple of car rental counters in the airport where you can rent cars or there are more companies located just outside the airport grounds that will pick you up on arrival and take you to their office. 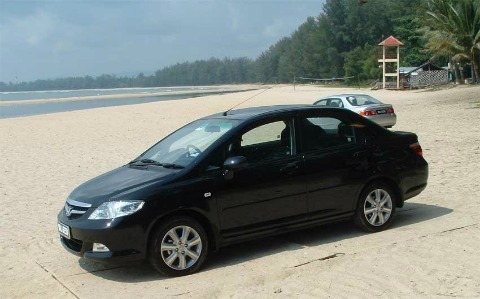 You can read more information and tips about hiring a car in Phuket here. As you can see there are many transport options for your Phuket airport transfers, but these days we prefer to book a private transfer.